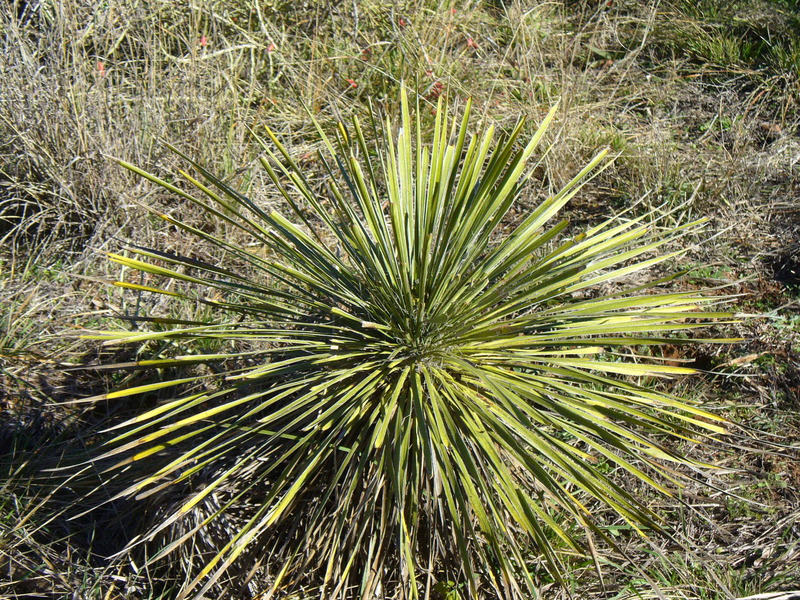 A common sight along the trails at the nature center, and across much of the hill county, the Buckley’s yucca plant has long, stiff, pointed leaves. In the spring, it sports a tall stalk and a cluster of large, beautiful white bell-shaped flowers. From the center of the plant, you can see curly white fibers. Native Americans used found good use for most things in their environment. The leaves were pounded to separate out the fibers to produce tough threads used in weaving sandals, baskets, paint brushes, and even cording for animal snares. They ate the flower stalks before the flowers bloomed while the buds still retained the sugar and before the stalk became too fibrous and tough to chew. They roasted seed pods, then ground them to make a sweet paste (caution is urged since it can have a laxative effect). Finally, the yucca is sometimes know as “soap on a rope” since you can create a detergent-like foam when pounded and soaked in water. It was used to clean everything from people to clothing. And here you thought it was just another boring cactus! For more information on other native plants, visit our friends at the Native Plant Society of Texas.